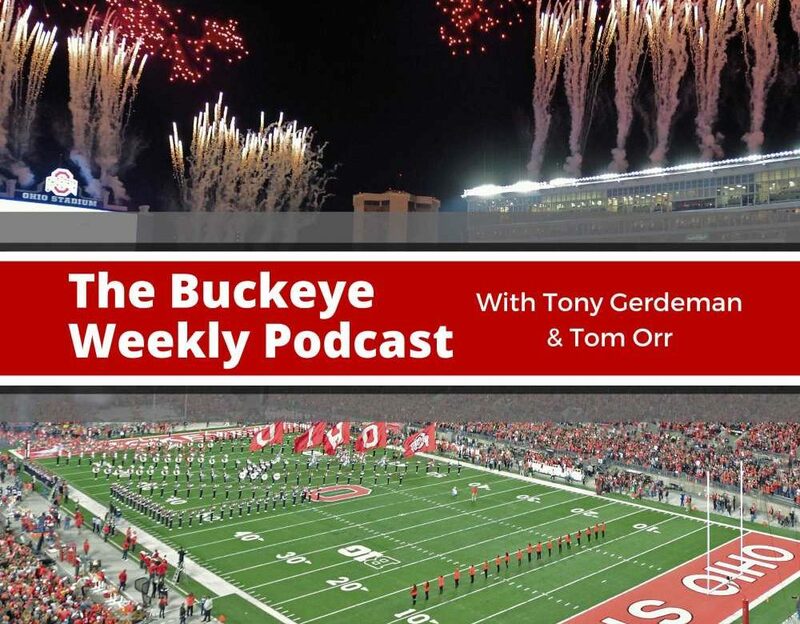 In this episode of the Buckeye Weekly podcast, Tony Gerdeman and Tom Orr recap Ohio State’s spring game. They talk about what they saw from the quarterbacks, what impressed them about the Buckeye defense, who surprised them, and once again spent some time conversing about Garrett Wilson. They also answer some questions from Facebook Live viewers. + Ryan Day suffers the first loss as Ohio State’s head coach. + The Gray squad covered easily. + Surprised by how well the Buckeyes ran the ball. + Tom breaks down Robert Cope’s game. + Marcus Crowley looked consistent on the ground. + Where was Zach Harrison? + Tom, the lone voice in the night, was right about Garrett Wilson and YOU KNOW IT! + Tony admits he was wrong. + But now you see that these weren’t lies about Garrett Wilson. + Yes, Tom can be annoying. + Giving credit to Matthew Baldwin for the touchdown throw to Garrett Wilson. + Garrett Wilson is the most advanced freshman receiver we’ve seen at Ohio State since David Boston. + Justin Fields showed what he can do on the ground. + The offense is going to incorporate the QB run this year. + Yes, his accuracy could improve. + Now Fields can settle a bit and relax and learn at a more leisurely pace. + Are fans happy about what they saw from Fields or if they are worried about the completion percentage? + Teradja Mitchell made some noise. + We all saw Jahsen Wint, but nobody expected it. + Wint has found a home. + Drue Chrisman’s decent proposal. + This should become a special teams tradition. + The transfer portal awaits. + The spring game is just one practice, and it’s not one of the most meaningful practices. + Let’s talk about Jaelen Gill. + Let’s talk about Amir Riep. + Marcus Crowley and Master Teague were patient. + The running backs overall look pretty promising. + Let’s talk about Javontae Jean-Baptiste. + Who was the biggest surprise of the game? + Ellijah Gardiner had some moments. + Downfield passing to the H-backs. + This is some untapped potential. + Tom rips on Mr. Don Brown. + Cut Don Brown some slack — Brown Thunder just got renewed. + Where are the concerns leaving spring? + Thayer Munford is the biggest concern. + Let’s talk about Binjimen Victor and consistency. + He probably hasn’t been helped by Urban Meyer saying what he’s said about Victor. + Justin Fields’ ceiling is higher than anybody else’s. + Chris Chugunov is amazing and a rarity. + Will the kickoffs change? + We’ll get that answer at a later time. + Any commitment watches this weekend? + Let’s talk about Marvin Harrison Jr. and his potential for committing. + Michael Thomas is maybe a good recruiter. + If there are no commitments this weekend, that’s Tom’s fault. Per usual. I can no longer listen to your podcasts. Shuts down a few minutes after starting. Seemed to start after the advertising was added. What platform are you using? Thanks. Well if the Spring game is the decider at QB, Dwayne Haskins is still carrying a clip board a year later. Run blocking was pretty decent. Pass blocking…..meh, needs a lot of work. Still the unit of major concern for the offense. Runningbacks? 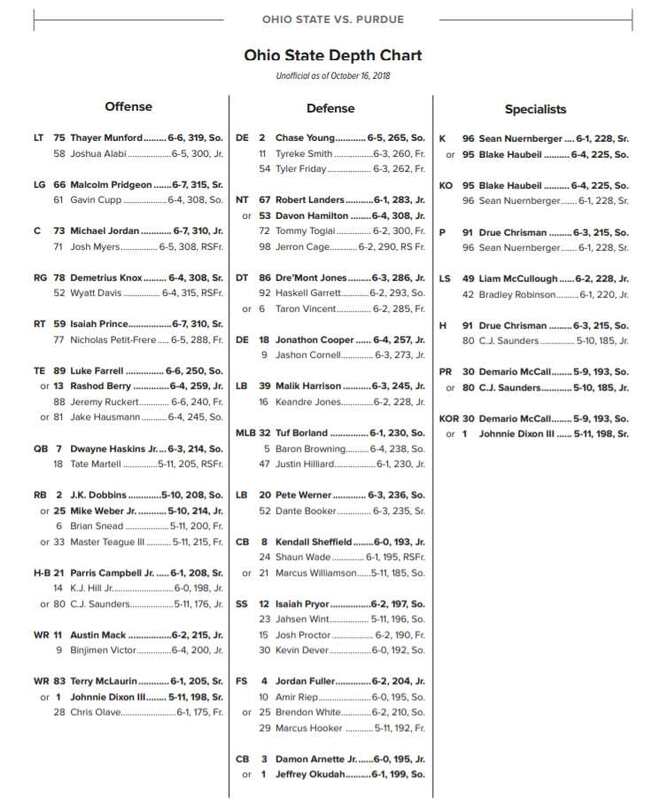 Don’t fall asleep JK or you’ll find yourself 3rd or 4th on the depth chart. Not surprised by the MIA TE’s. MIA compared to the hype they have been receiving. That unit will be who they are every year at Ohio State. DLine.- BEWARE. REALLY pleased with Javontae. He played this Spring game like a season starter. Did any of the linebackers play today? Or do the linebackers actually get to take credit for Jahsen Wint who played outta his mind today. 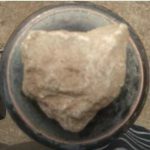 If this is a flash of what to expect from the Bullet/safety, we have plenty of reason to smile.